Irish Garden House: Looking Way Back . . . Looking Way Back . . .
Great photos, Lynn! Great to see you! Oh the sweatwrs....your signature back in the day! Your jean skirts and a different sweater everyday. You must have had 75 sweaters! And whats with the hair? Forgot it was kinda big back then! No matter what, you were and are adorable! Andrew got his girlfriend two Christmas sweaters this year as an early present. His later gift was more romantic...a beautiful snowflake necklace. Great journey through the years with you but I think my favorite is the last one with the three of you. 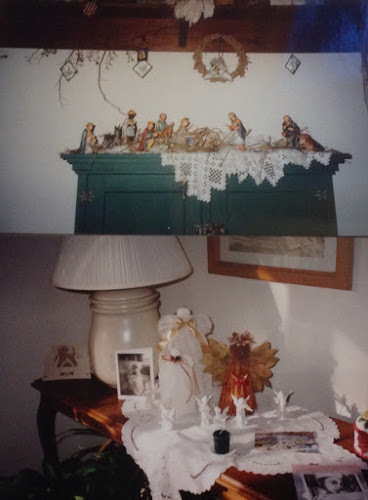 So much fun to look at your Christmas pasts! I had some pretty sparkly sweaters myself. My daughter teases me, mom what were you thinking! lol... New Year blessings to you and your family! Happy New yeaar. that was a lovely look back over the years. I love to look at photos from over the years.. these are great, Lynne! I love your hairstyles over the years, too! So much fun. How lovely to have all these photos - such precious memories! Happy New Year to you and yours. What a fun look back! I had help from my daughter getting all the Christmas things put away for another year. It's always a little sad, but so much nicer to enjoy someone's company while packing it away. Hope you have a wonderful weekend. I too, wish I still had a couple of those sweaters..Loved them, then! Fun trip down memory lane, Lynne..Thanks for taking us along..Love the last picture..Good one..Have a happy weekend.. I always love looking back, Lynne. Isn't it fun? The decor, the fashions, the hairstyles, the memories! Fun! 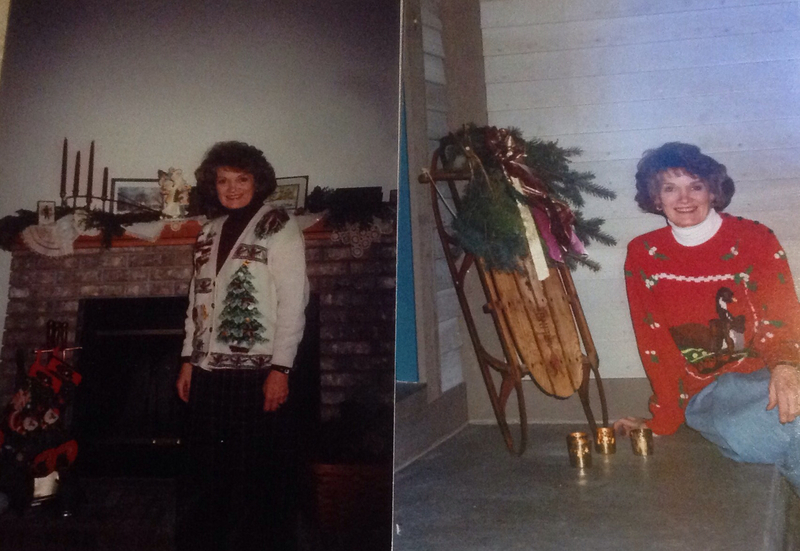 Wow Lynne you certainly had some fantastic Christmas sweaters. Something I never chose to wear , I used to choose something sparkly for Christmas. 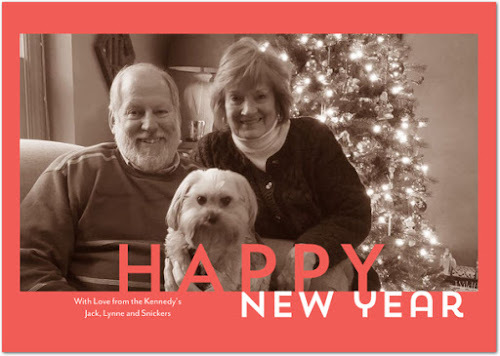 Your lovely New year card has arrived . thank you so much. I feel special having received your letter telling me about events you have been to and things you've done. I look forward to our friendship growing through our blog posts and emails. wishing you & your family the best of health for 2016. Oh yes, those sweaters are really popular it seams for Christmas parties and gatherings. 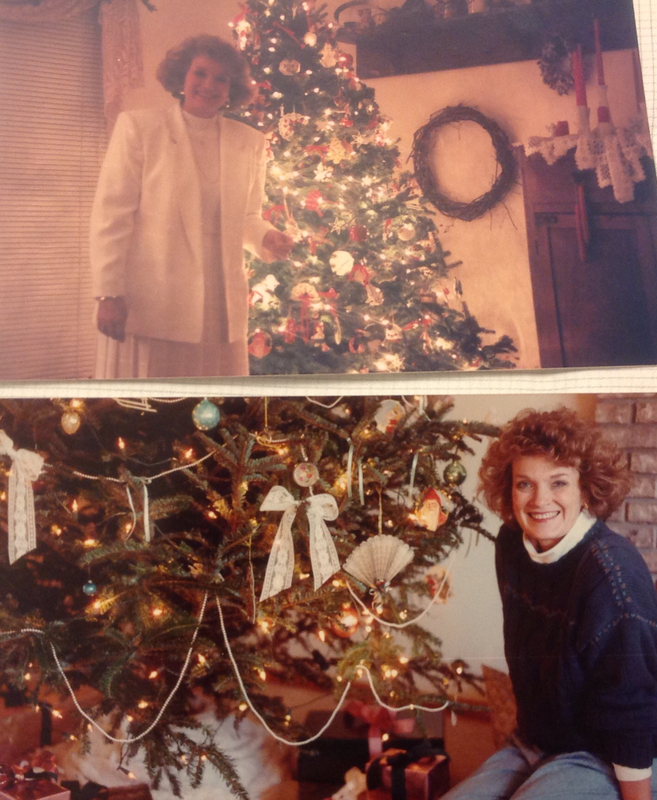 LOL So fun to see all the 'vintage' photos of Christmases past. A lovely photo of you and your sweet hubby and Snickers too! Hmmm...I never owned a Christmas sweater. I know many wore them but I never did. I remember one that I wanted so bad...didn't get it. You were lovely back then and still are. Happy New Year, dear friend!! 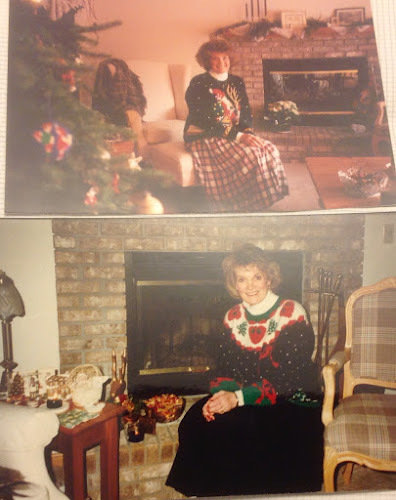 Hi Lynne, lovely photos of you and your Christmas sweaters. I love the last shot of the three of you together. Have a happy weekend! Too much fun. Love you Lynne! Crazy, amazing sweaters. Plus the days of permed hair...oh I remember. Oh Lynne, I've been enjoying our exchange! And I love these photos! 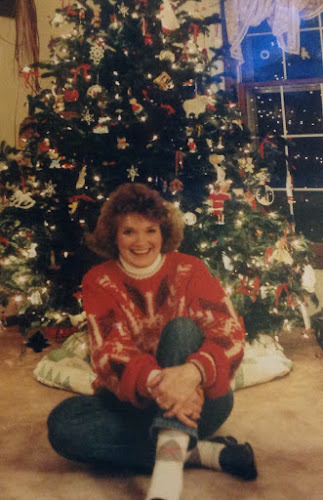 Those trees are glorious and yes, I have similar sweaters, too. 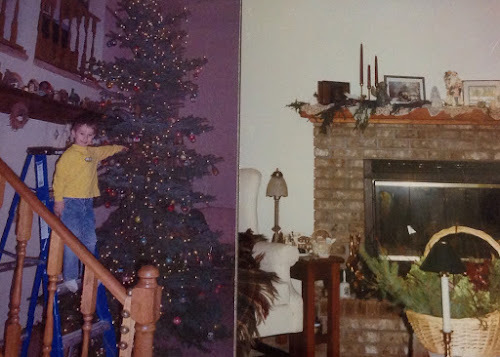 I think our Christmas memory photos are always some of the best. We see how we (and our styles) have changed or stayed the same and the things that meant the most to us -- enough that we would photograph them at the time because they were pretty or sentimental or special. Loved this post! Happy New Year. I have four trees down -- and tons more to go! I really enjoyed your pictorial review. I honestly still own some of those Christmas sweaters and you can bet my eldest has wore them to school for "ugly sweater day". Funny how I didn't think they were so bad at the time. PS. I'm loving all this cold and snowy weather. Now, if we could just teleport ourselves from home to school/work each day, I'd be all set!